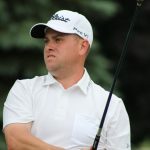 HIGHLAND – Defending champion Jeff Cuzzort of Grosse Ile, and nine other former champions who account for 21 championships collectively, head the field of 156 golfers who will compete for the 99th Michigan Open Championship presented by LaFontaine Automotive Group Monday through Thursday http://familydealblog.com/99th-michigan-op…restwick-village/(June 13-16) at Prestwick Village. Six-time champion Scott Hebert (1997, ’99, 2000, ’01, ’02, ’06) of Traverse City Country Club, five-time champion Randy Erskine of Lake Orion (1976, ’78, ’79, ’84, ’85), three-time champion Steve Brady of Oakland Hills Country Club (1991, ’92, ’96), two-time champion Bob Ackerman of Ackerman Golf in West Bloomfield (1975, 2003), 2013 champion Tom Werkmeister of Grand Rapids, 2012 champion Barrett Kelpin of Kalamazoo, 2011 champion Randy Hutchison of Traverse City, 2007 champion Andy Ruthkoski of Muskegon and 1989 champion Barry Redmond of Boyne Resorts join Cuzzort in the third consecutive Michigan Open hosted by Prestwick Village and presented by LaFontaine Automotive Group. 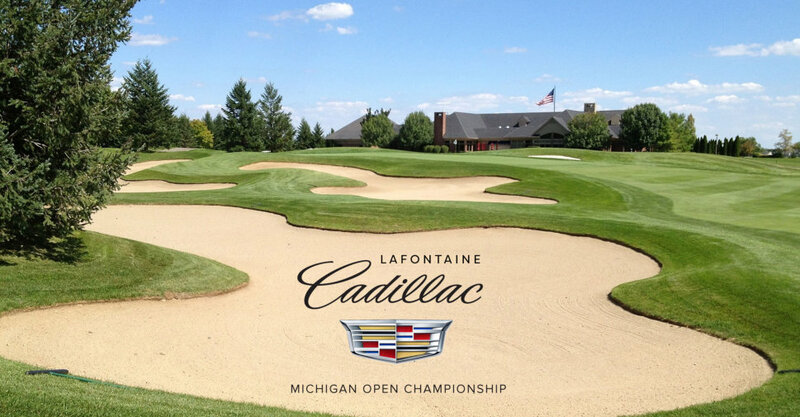 LaFontaine Automotive Group has 22 franchises in 16 locations across southeast Michigan, and for the third consecutive year will present the Michigan Open champion with a one-year lease on a new Cadillac. Cuzzort, a former mini-tour golfer and 2004 Michigan Amateur champion now caddying and working for Pure Performance Golf Labs, shot a closing 3-under 69 a year ago for a 15-under 273 and four-shot win over former champion Hutchison and mini-tour player Jeff Bronkema of Wayland. Bronkema is also back in the field, as is former PGA Tour player Doug LaBelle of Mount Pleasant, who was fifth a year ago, and low amateur Reed Hrynewich of Muskegon and the University of Michigan golf team, who was sixth. Other notables include mini-tour professionals and former Michigan Amateur champions Willie Mack of Grand Blanc and Drew Preston of Ada, 2015 Michigan Amateur champion Ryan Johnson of New Boston, 2013 Michigan Amateur champion Andrew Chapman and Evan Bowser of Dearborn, the recent winner of the Horton Smith Invitational and the Michigan Publinx Medal Play Championship. Several top players from the Michigan Section of the PGA, which directs the tournament, are in the field, including 2015 Michigan PGA Player of the Year Brian Cairns of Fox Hills Learning Center in Plymouth, Lee Houtteman of Manitou Passage in Cedar, Matt Pesta of Lincoln Hills in Birmingham, Al Kuhn of Fountains Golf in Clarkston, Jordan Young of Fox Hills and the host professional, Prestwick’s Brent Goulding. Prestwick will challenge the field with a variety of golf holes, including some links style, traditional parkland and some carved from woodlands. Located just north of Milford in Highland Township on 426 acres of natural, rolling terrain amid a family-focused community, Prestwick was designed by architect Ron Garl. The Michigan Open was first played in 1916 and won by Leo Diegel, who also played in the inaugural Ryder Cup matches and The Masters Tournament in Augusta, Ga. Many of golf’s most famous have their names listed on the Michigan Open’s James Standish Trophy including Walter Hagen, Chuck Kocsis, Al Watrous, Horton Smith, Walter Burkemo and John Barnum. Play starts Monday at 8 a.m. The field will play 72-holes with a cut after 36-holes to the low 70 scorers and ties. The public is welcome free of charge. Follow signs for parking and fan shuttles.